A GLORIOUSLY unlikely and intriguing pairing on the trailblazing Edition label delivers a remarkable album of great beauty and creativity. 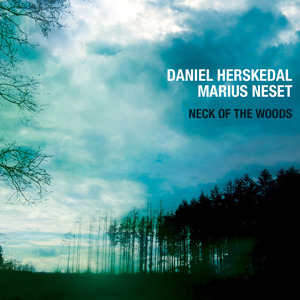 Daniel Herskedal (tuba) and Marius Neset (saxophones) present a collection of sublime, sometimes quirky, originals – plus a great nod to Abdullah Ibrahim – with their new release, Neck of the Woods. The enormously talented Neset (of Golden Xplosion brilliance) teams up with the extraordinarily accomplished Herskedal to unveil something of a unique sound which, happily, is difficult to categorise. With an occasional, seamless chorus of wordless, male voices (Svanholm Singers), Herskedal and Neset have created a sumptuous and varied soundworld, achieved in part by a sensitive, organic layering and exploration of their instruments. The opening title track announces a melody of anthemic scale; the soaring, screaming sax of Neset melding superbly with the singers, the tuba offering a buoyant underpinning. The ‘big tune’ eventually gives way to a sequence of tender, emotional yearning, before finally returning. Tuba players are perhaps less obvious as soloists. However, Herskedal dispels this idea with some of the most agile playing imaginable (Lutra Lutra makes the point! ), along with a host of fascinating, atmospheric techniques. He seemingly extends his range by vocalising through the mouthpiece, as well as producing bizarre, earthy rumblings at the other extreme. His Dragon’s Eye transports us to a dark and fast-moving fairytale landscape, with smouldering, fire-breathing, nostril-flaring beast chasing in our footprints (please… don’t have nightmares!) – an engaging and vivid ‘sound painting’ indeed. In contrast, The Christmas Song has a reassuring, hymn-like charm, with heartwarming, rising modulations suggesting ‘all is well’ – albeit with further characteristic brooding to close! Neset’s Ara’s Dance dances and jazzes around playfully, displaying impressive dexterity and interplay. Both horn players’ sounds are, it turns out, surprisingly well matched – and, summoning a misty sense of folk song and folklore, their haunting (sometimes almost Mahlerian) strains support well the Norwegian solo vocal of Halivar Djupvik on Eg Er Framand. The Shepherd provides the opportunity to catch Herskedal and Neset purely as a duo, as does a delicate reading of Abdullah Ibrahim’s The Wedding Song (heard on Ibrahim’s own album, Sotho Blue), drawing this wonderful disc to a restful and satisfying conclusion. An excellent addition to the fast-growing catalogue of Edition masterpieces, and a varied and compelling programme which demands repeated listening.